ISRAELLYCOOL: US AMBASSADOR TO UN FRAUDULENTLY MISQUOTED REAGAN IN REASON WHY OBAMA ORDERED ABSTENTION IN UNSC VOTE – The Tundra Tabloids……. They lie (big) in order to sell their crap to others……. When Samantha Power began her speech at the UN to justify the Obama Administration’s decision not to veto UN Security Council Resolution 2334, she started with a quote from Ronald Reagan.She did this with a specific goal: to find historical “proof” that the US, prior to Obama, has seen “settlements” as central to achieving peace. This is a complete lie. They were to be part of negotiations but nothing more. Samantha Power fraudulently quoted Reagan’s words to lie and change history. 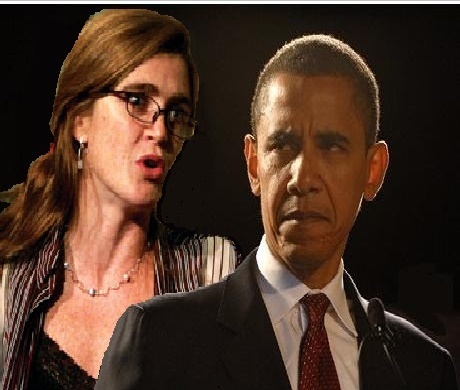 Samantha Power’s selective quote was malicious and fraudulent. She stole words to prove her point. This is symbolic of the nature of Obama’s whole approach to his Presidency. Brian of London delivers an excellent review and analysis here. Previous Post Previous Post FUN TWEET OF THE SECOND DAY OF CHRISTMAS……. I saw her “quote” and thought it was fake, but couldn’t find the real one to prove it. I very much appreciate your posting this. Of course, the actual quote isn’t all that great, but it’s a whole lot better than her fake one.